We'll put you on the fish! 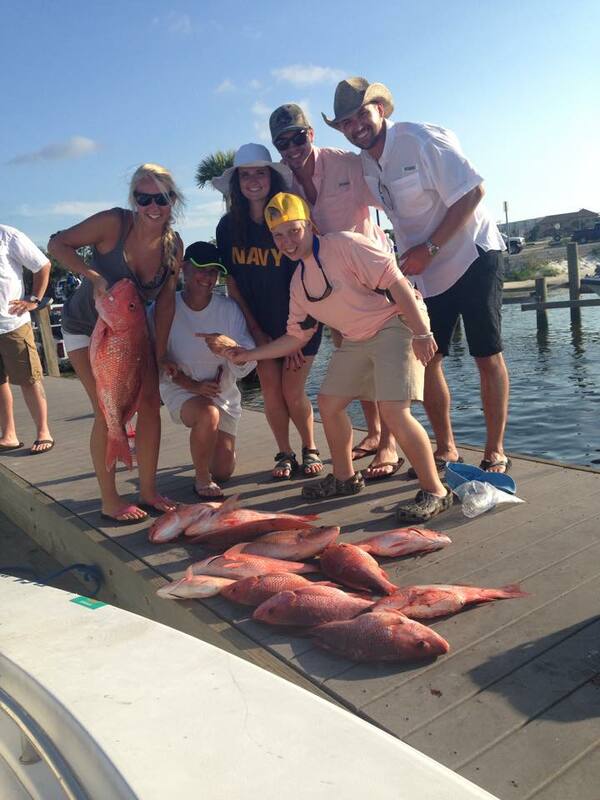 We offer top fishing charters out of Destin, Ft. Walton Beach & Navarre, FL. 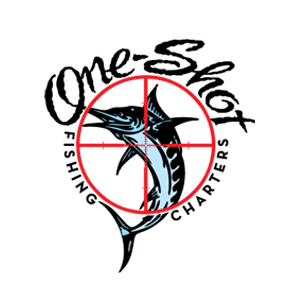 OneShot Fishing Charters is dedicated to bringing you a memorable day on the water, no matter if it is a quick 4 hour trip fishing charter or an all day escapade charter trip. Your Captain’s goal is to ensure that you, the customer and angler, have a great time charter fishing with us and catch plenty of fish! Whether it is putting you on the fish of a lifetime or catching a quick limit of snapper, we want you to enjoy yourself! 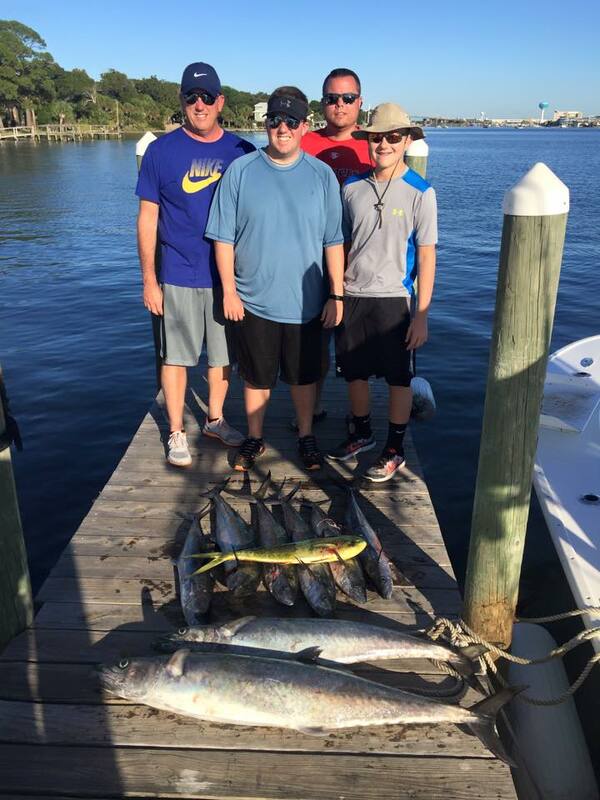 We guarantee a safe and fun experience aboard our 24′ Cape Horn and run fishing charters out of Destin, Florida, Navarre, Florida and Ft. Walton Beach, Florida. We offer a variety of fishing trips tailored to fit your needs. From tangling with Red Snapper and Grouper to hooking up on giant sharks we will fish for whatever YOU want to fish for. We fish out of Destin, Ft. Walton Beach, and Navarre so no matter where you are staying, Your Captain will pick you up at a nearby location. Fishing tactics depend on target species and prevalent conditions but anglers can expect to slow troll live baits, troll artificial plugs, bottom fish, sight fish or jig on any given charter. All of our gear is top of the line Penn light tackle that even young children and women can enjoy using. Using light tackle makes for a less tiring day of fishing and makes the fight even more fun! *All trips require a 20% deposit. We take checks and all major credit cards except American Express any time before the trip and cash only at the dock. 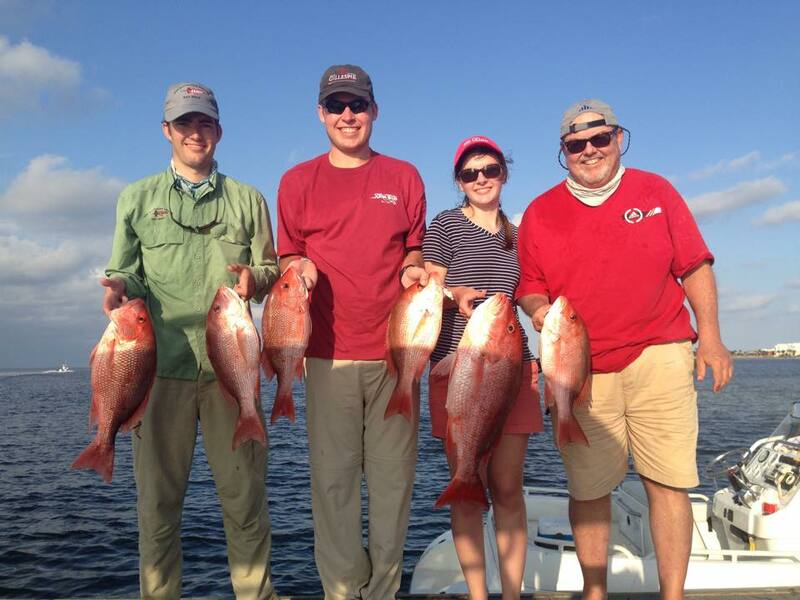 NEARSHORE- Come fishing in the Gulf of Mexico with Captain Adam Peeples on our Cape Horn 24os. 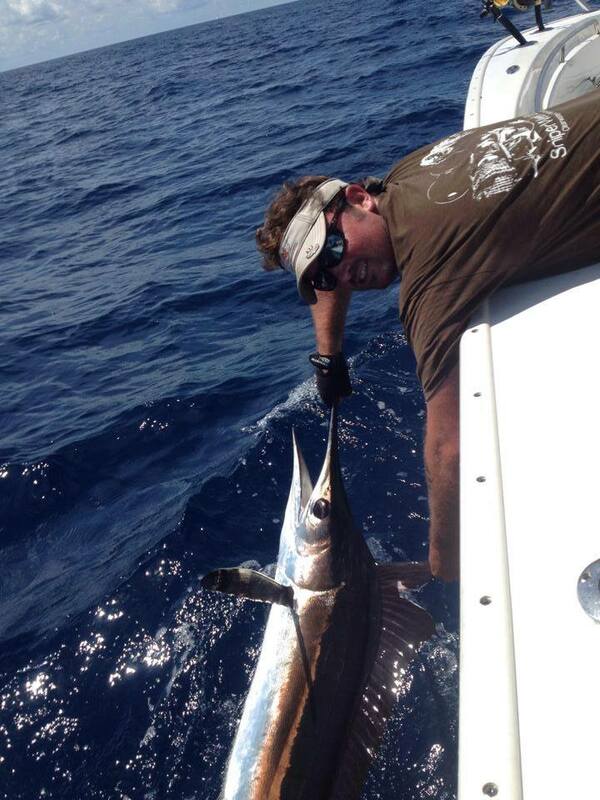 We offer a variety of both nearshore and offshore fishing charters. 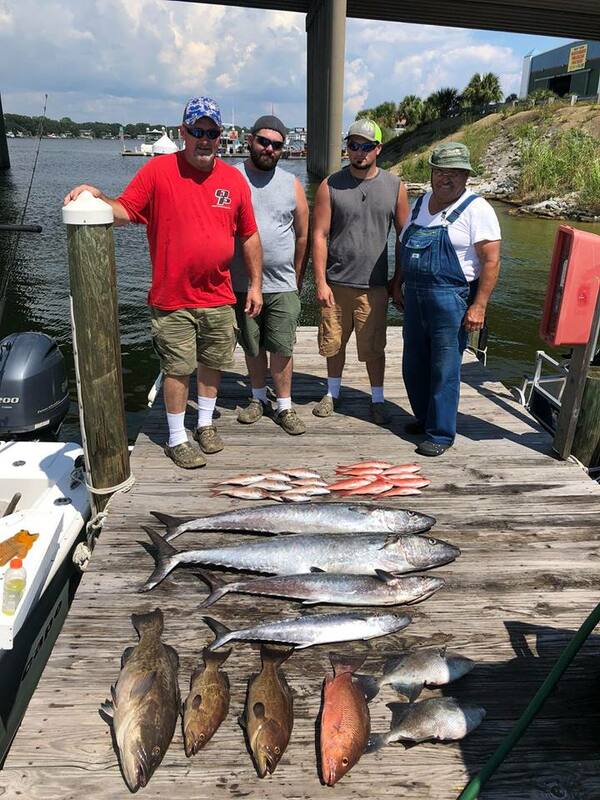 Our 4-8 hour trips are nearshore fishing experiences that involve a mix of bottom fishing, live bait trolling, and occasionally working artificial lures over structure. These type of trips require us to stay in state waters, meaning that we will never be farther than 9 miles from the beach. You can always see land, and we typically will be within 20 miles of the inlet on these trips. On the nearshore trips we will target various snapper, trigger fish, amberjack, grouper, sharks, mackerel, mahi, and even the occasional sailfish. Due to the ever changing nature of fisheries management, it is best to call us and find out what seasonal closures may effect this type of trip and what fish you may retain on it. 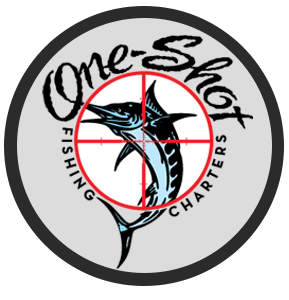 OFFSHORE- For the more adventurous angler, we offer all day offshore trips for daytime swordfishing and big game trolling. These type of trips leave the dock before daylight and involve long runs offshore to the fishing grounds. 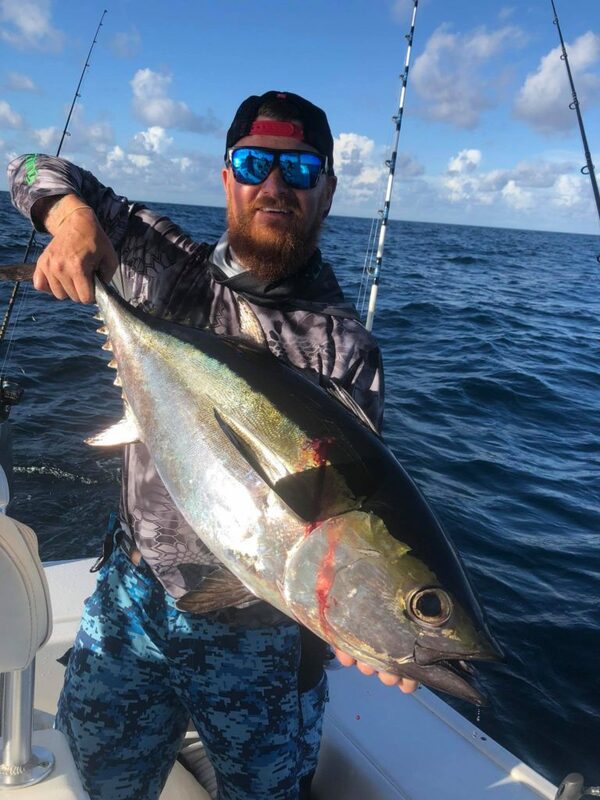 While daytime swordfishing is the most consistent fishery for us offshore, it is typical to have chances at yellowfin tuna, mahi, wahoo, and even white and blue marlin while we are offshore. This is big game fishing, and if you want to test your will and endurance on the fish of a lifetime then this is the trip for you. Captain Adam Peeples is a USCG licensed charter boat captain with many years experience on the water. Growing up as a young boy fishing the “cut” at St. George Island for redfish, the salt water fishing bug bit him at an early age. 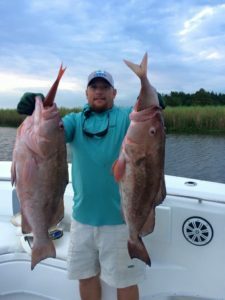 After growing up fishing various areas for many species of salt water fish, Capt Adam enlisted in the U.S. Army and spent 9 years in the Army as a sniper. 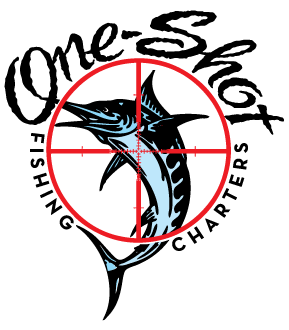 This included two deployments to Iraq and a stint as an instructor at the U.S. Army Sniper School, hence the name “One Shot Charters”. Since leaving the military, Capt Adam is a full time guide and fisherman. This is not a hobby for him, but an obsession. He is the guy who is out fishing even on his days off. 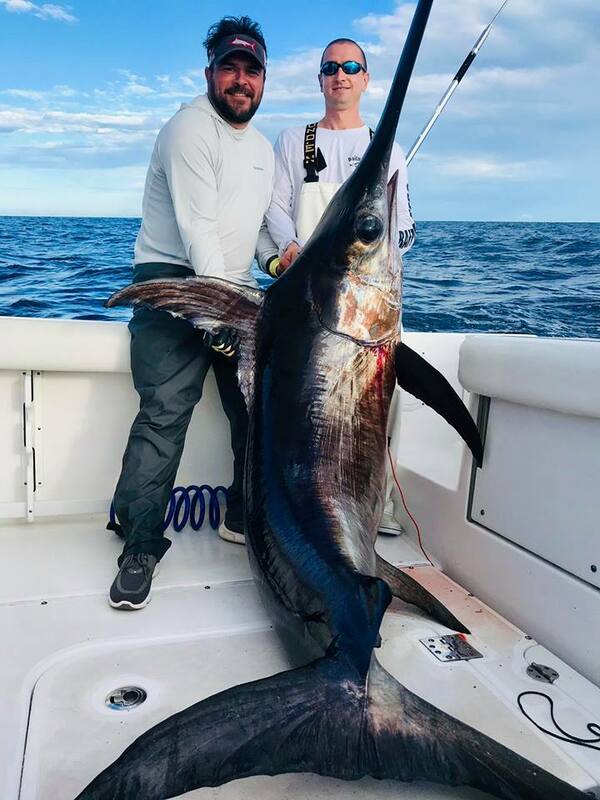 Although swordfishing is his favorite type of fishing, he is well a well rounded captain and is just as happy to go play with the snapper and king mackerel as he is to spend a day swordfishing. One of Adam’s favorite things to do is take his two daughters fishing, and he thoroughly enjoys introducing the world of salt water fishing to kids. 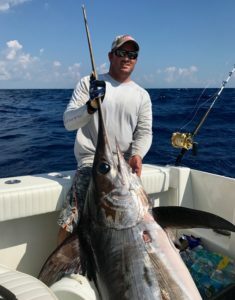 Some of Capt Adam’s professional accomplishments include Sportfishing Magazine’s Charter Captain of the Year for 2016 and 2017, awarded “Best charter of the Emerald Coast 2017” by Emerald Coast Magazine, finished first place fishing with team “Wide Open” in the 2017 Boshamps Swordfish Shootout, 3rd place Catch and Release swordfish divicion fishing with team “Ellie B” during the 2017 MGCBC, 2nd place fishing with team “Kelly Ann” in the 2016 Boshamps Swordfish Shootout, and a couple of other local tournament wins. If you want to fish with someone who loves what they do, Adam is your guy. Captain Kirk Pristas is an avid Outdoorsman and Conservationist who began fishing the Gulf of Mexico since age ten. Captain Kirk is a native Floridian who grew up on the bay in Lynn Haven which enabled him to experience the many opportunities our great area has to offer. Whether it’s hunting for Sambar Deer on St. Vincent Island, diving for Spiny and Shovelnose Lobster, Alligator hunting, fishing for Tuna and Marlin out in the Gulf or just floundering in the bay, Capt. Kirk has done it all in the local area. After spending nine years in the Air Force with numerous deployments to the Middle East, Capt. Kirk decided to honorably separate from active duty and return to his native roots. This enabled him to pursue his passion for fishing and the outdoors while being able to show others what unbelievable outdoor experiences our area has to offer. Capt. 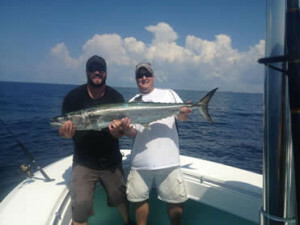 Kirk enjoys almost every kind of fishing and always strives to provide the best possible trip that will make memories! Captain Jarrett Ortenzo has been in love with fishing and the outdoors as a whole since he was a small child. He grew up with a fishing pole in his hand, and has fished in many areas across the country in both fresh and salt water. Captain Jarrett is our favorite “goof ball” and is always quick with a joke. If you are around Jarrett, odds are you are laughing and having a good time. Captain Jarrett is a former U.S. Marine who served from 2004-2009, including 2 deployments to Iraq. These days Captain Jarrett captains our 24’ Cape Horn “One Shot”, and takes great pleasure in introducing people to salt water fishing. He’s a great all around Captain, and is particularly good with kids on his boat. Fishing with Jarrett is always going to be both fun and productive!